5S is a regular systematic form of visual management, using everything from floor tape to operation manuals. It not only simply focus on visual order, authentication, hygiene or organisation; It is also about increasing efficiency, profitability, service and safety. 5S is a unique idea and framework that emphasizes the utilisation of a specific mindset and instruments to create efficiency and esteem. The principles underlying a 5S program initially seem to be simple and obvious common sense. However, once implemented in a disciplinary manner, the above benefits will occur. This system focuses on keeping everything where it works and keeping the workplace clean, making it easier for people to do their jobs without wasting time, without confusion and without injuries. It involves observing, assessing everything present in a space, collaborating, and searching for waste and also furthermore includes the practice of removing waste, keeping this cycle going organise, clean, repeat. 5S include five Japanese terms that everyone begin with the letter "S". What Does 5S Stand For? 5S, generally stated as 5s or Five S. 5S came from Japanese terms. These Japanese words used to describe the phases of the 5S system of visual management. Each term begins with an S. In Japanese, the 5S's are Seiri, Seiton, Seiso, Seiketsu, and Shitsuke. 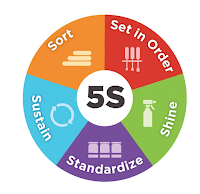 In English, the 5S's are usually translated as Sort, Set in order, Shine, Standardize, and Sustain. It involves going through all the tools, materials, equipment etc., keeping solely the essential items needed for the full work. --> What is the utilisation of this equipment or item? --> When was the last time this item was used? --> However typically it is used? --> Do this item really essential to be here? This action passes through all subjects in a workplace and work piece to determine the value of each item and ends with the need and removal. Everything that has not been used to complete the work process ought to leave the work area. Which people (or workstations) use which items? At what point those items are used? what items are often used? Should things be sorted by type? Where would it not be most obvious to place items? Do some appointments on unnecessary movements? Need more storage containers to handle things? The shine stage of 5S focuses on proactive efforts to keep workplace areas clean and orderly. This means cleaning and maintaining the recently sortedout workspace. 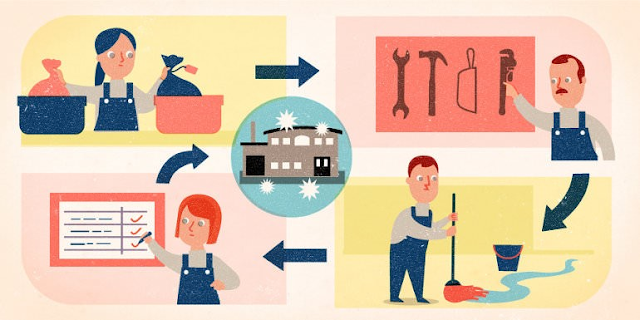 It involves simple and routine tasks such as sweeping, moping, wipingdown surfaces, putting tools and materials away etc., In addition to basic cleaning, performing regular maintenance of machinery, tools and other equipment. After completing first three steps of 5S, things should look pretty good. All the unnecessary things is gone, everything is maintained, spaces are cleaned, and equipment is in good working condition. In this stage create a set of standards for both organization and processes. Fundamentally, this is where you take the first three S's and make rules for how and when these tasks will be performed. These standards can involve regular tasks, creating schedules, charts, lists, and posts instructions so these exercises turned out to be standard. Sustain refers to the process of keeping 5S running smoothly, yet in addition of keeping everyone in the assosiation included and involved. Sustain new practices and conduct audits to maintain discipline. This suggests the previous four S's must be continued over time. First of all managers need to participate to give motivation to employes, and make the employees to follow these steps on the manufacturing floor, or in the office. Sustain is about making 5S a long-term program, not only just an event or here and now venture (short-term project). Ideally, 5S turns into a part of an organisation's culture and when 5S is sustained after some time, that's when businesses will begin to see persistent positive outcomes. 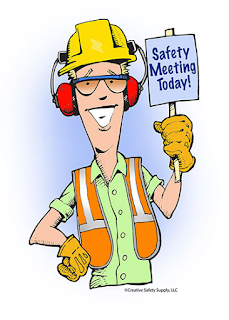 Some companies prefer to include a sixth S in their 5S program i.e., Safety. At that point when safety is included, this framework is often called as 6S. The safety step involves focusing on what can be done to eliminate risks in work processes by arranging things in certain ways. Some industries believes Safety a result of performing the other 5S's appropriately, and thus say 6S isn't necessary. They think whether workplace is properly organised and cleaned and uses helpful visual safety cues, a seperate safety step is senseless. 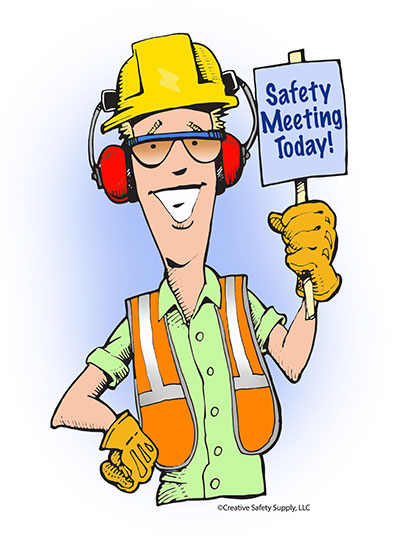 Neither approach to safety is right or wrong, but however a business needs to approach safety, it ought to bear in mind that paying attention to safety is vital.